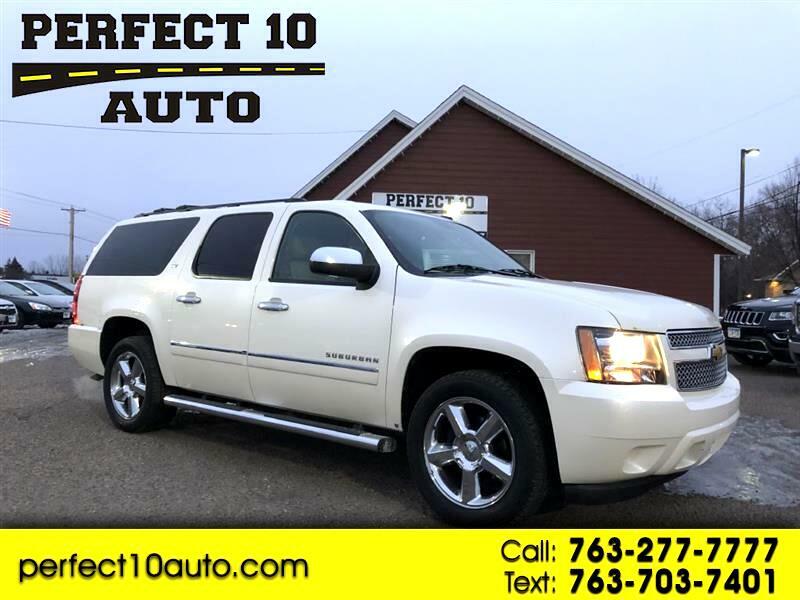 2011 Chevrolet Suburban LTZ - 157k Miles - 5.3L V8 4WD - Ivory with Tan Leather Interior - Keyless Entry - Automatic Start - Third Row Seating - Rear Bucket Seats - Power Sunroof - Premium Stereo - Navigation - Rear Entertainment - XM Radio - CD Player - AUX / USB Input - Bluetooth Connection - Steering Wheel Controls - Heat/ AC - Dual Climate Control - Rear Climate Control - Heated Seats -Rear Heated Seats - Power Doors / Locks /Windows / Seats - Power Steering - ABS - Cruise Control - Traction Control - Good, bad, or no Credit? We have OVER 30 lenders available for ALL credit situations! We will give each and every application our best. and work hard to get you approved!! At Perfect 10 Auto, we understand life can throw you curveballs so don't let any past credit troubles get you down. Before you buy, give us a try!! Visit WWW.PERFECT10AUTO.COM for full inventory or to apply online today! !